Built in 1905, this wood and brick house was owned by two Italian families for over 90 years. Charles and Christine Zarini lived here until 1921 when they sold it to Joe and Rose Ross. 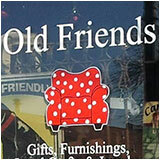 Don’t forget to use your 20% Off Coupon at Old Friends throughout the month of January. 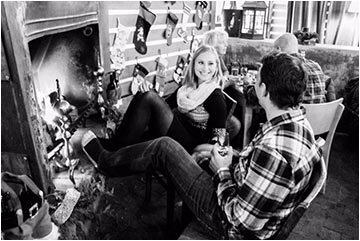 We hope you had a wonderful fun-filled holiday with family and friends, and you got everything you wanted on your list. Do you suffer from chronically tight hips and hamstrings? Does limited flexibility prevent you from fully exploring certain yoga poses? If so, this two-class series will explore a more mindful approach to improving flexibility in the hamstrings and hips, increasing stability and strength. This is an all-levels class taught by Jen Soule and perfect for any individual looking for more freedom of movement and comfort in sports and everyday activities. Cost is $40. Historic Downtown has had it’s share of romantic moments, like CJ Chenier band member Louisiana Slim marrying a woman he met at the Street Faire, and here’s another sweet story to add to the archives. Tyler Schultz was planning to propose to his sweetheart, Emily Branson, and wanted to make it special, so he choreographed a Louisville-only moment: a proposal – accepted of course – followed by a horse drawn carriage ride and then a celebration at Por, pictured above. Well done Tyler, may you and Emily have a long a happy life together. The beautiful technique of Fair Isle knitting will be demonstrated and taught at this January KAL. This KAL is for you whether you’re a seasoned stranding knitter or have this technique on your wish list. Three technique support sessions have been scheduled to help learn the skill. Register at fingerplaystudio.com if you wish to receive support. Share your progress on Facebook or Instagram to enter a drawing for a $25 FingerPlay Studio gift certificate. Don’t miss this one-of-a-kind event with four Select Whiskeys including limited releases, passed hors d’oeuvres compliments of the restaurant, cigar rolling by Palma Cigars (smoking weather permitting), and a souvenir Glencarin glass. Cost is $51/per person and there is limited space. Contact Adrian Sutevsky, 720-519-1972 or at adrian740front@gmail.com for more information or to make reservations. 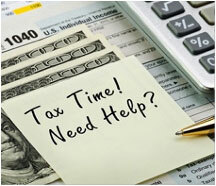 Gain valuable knowledge about preparing your own taxes, what questions to ask when choosing a certified tax preparer, and how to find the local IRS-certified FREE tax prep program. Learn how to maximize your refund, get all available tax credits, and what is new for this year’s returns. Winter is a great time to explore the natural wonders of Boulder County! Join volunteer naturalists to learn about the many wonders of winter and how plants and animals adapt to snow and cold, from the Great Plains to the Continental Divide. 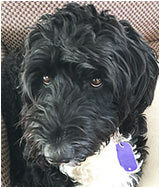 The Louisville Public Library is the debut site for this new program from Boulder County Parks & Open Space. It’s been 10 years since the release of Al Gore’s documentary “An Inconvenient Truth.” Come hear an update on climate change straight from Gore’s most recent Climate Reality training 3-day workshop that speaker Laura Levesque recently attended.